Syracuse University men's basketball coach Jim Boeheim struck and killed a pedestrian late Wednesday night, according to local police. No criminal charges are expected in the case, Syracuse police officers said at a Thursday news conference, calling it a "tragic accident." Boeheim stopped at the scene and tried to render aid and is cooperating with the investigation, police said. The legendary college coach underwent "field sobriety and alco-sensor tests" which "were negative for any signs of impairment," according to police. Boeheim released an emotional statement Thursday morning. "I am heartbroken that a member of our community died as the result of last night's accident," Boeheim said. The deadly accident took place around 11:20 p.m., police said. The victim, Jorge Jimenez, 51, of Syracuse, had been in a car that lost control on the highway, hitting a guard rail, police said. The car was in the middle of the road when the accident occurred, according to police. Jimenez and the three others in the car with him were walking along the highway when, according to authorities, Boeheim noticed the vacant vehicle and tried to avoid it, according to police. "As a result," Boeheim, 74, "struck the victim who was standing on the side of the road," according to a police statement. One other person suffered minor injuries, according to police. The collision was on a dark stretch of road, police said, and Boeheim used his cellphone light to try to warn other drivers and prevent additional crashes. Weather may have played a role, according to police. The coach said he and his wife "extend our deepest sympathies to the Jimenez family." "Out of respect for those involved, I will not be providing further comment at this time," Boeheim said. 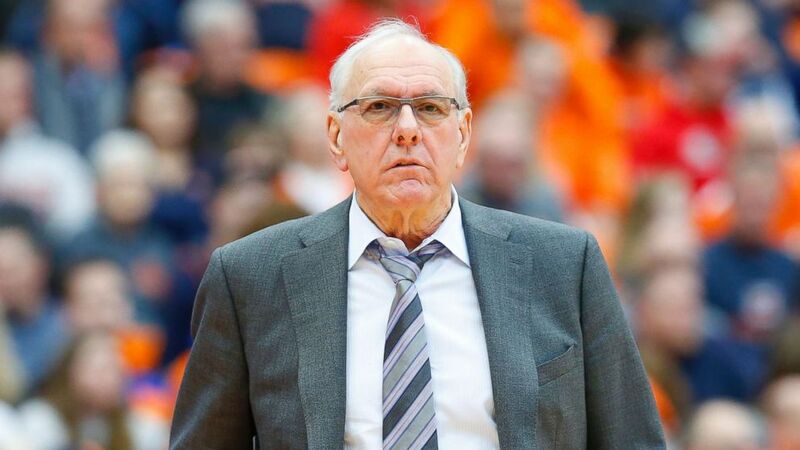 Boeheim's speed was not immediately clear, according to police, but Onondaga County District Attorney Bill Fitzpatrick told ABC Syracuse affiliate WSYR the coach was driving at an appropriate speed. The crash came shortly after Syracuse won its home game against the University of Louisville. "We are saddened by the death of a member of our Central New York community," Syracuse Athletics Director John Wildhack said in a statement. "We extend our deepest condolences to all impacted by this tragic accident." Wildhack said "Boeheim met briefly with his team" on Thursday "but did not attend or participate in practice." Syracuse Chancellor Kent Syverud added, "I am deeply saddened by the news that a member of our Central New York community was tragically killed in an accident last night involving Coach Jim Boeheim." "Coach Boeheim is understandably heartbroken by the loss of life," Syverud said, offering his "deepest condolences to the Jimenez family and all those grieving this terrible loss."